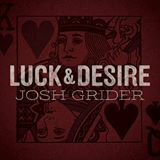 Josh Grider's Luck & Desire album is full of emotion both love and heart ache. With songs like “Anything Can Happen” and “High Enough,” Josh gives us songs that are not only beautiful but songs that we can easily relate to as well. Josh leaves it all on the table with his heart felt and catchy tunes that will have you singing along in no time. 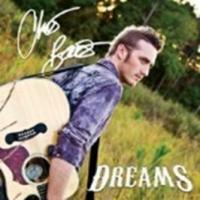 With his lovely baritone voice, this album keeps you wanting to hear more and wondering what the next song will bring. When you listen to the title song on the track “Luck & Desire” you can tell right away how unique this album really is. With such well written songs and honest lyrics it just can't be beat.